​First Friday is a special day of shopping, art and entertainment downtown! Visit a variety of retailers, artist venues, and museums, plus taste and rate burgers at seven different restaurants and win prizes! For more information, visit the DTSF event page. ​The Siouxland Heritage Museums and Downtown Sioux Falls are teaming up again to bring free family movies to the Old Courthouse Museum. Bring a pillow or blanket and get comfortable on the floor of the historic courtroom. 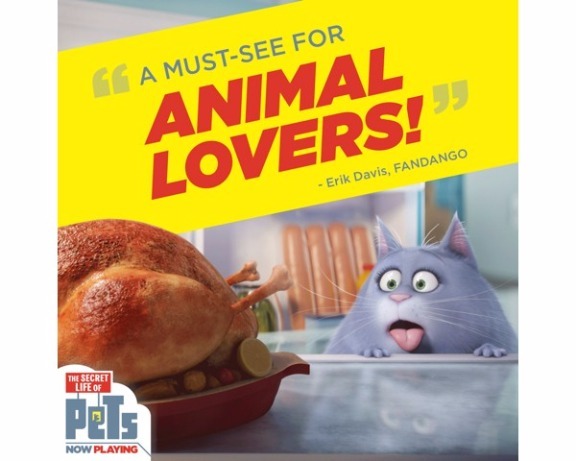 Doors open at 6, movie begins at 6:30 p.m. Pop and popcorn will be available to purchase. Some chair seating is available. For more information, call (605) 367-4210. ​Discover the books behind popular movies and television and the real-life science behind some of the most popular superheroes! 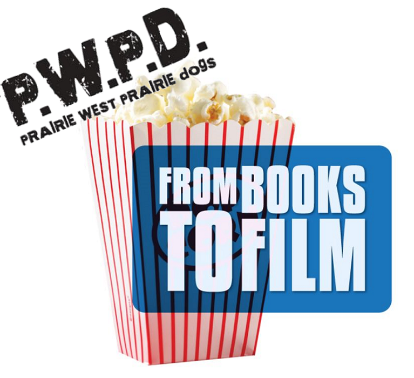 This Prairie West Library program is open to grades 4-8. For more information, ​contact Brian Borden at (605) 978-6899. Join us at the Icon Event Hall for exciting announcements for bicycle enthusiasts. ​At 6pm hear from Sioux Falls bicycle events/clubs/rides what exciting events they have planned for 2017. At 6:30pm the RASDAK route will be announced. This route will take cyclists across the great state of South Dakota in June 2017. For more information, call ​Jodi Erickson at (605) 321-9533. A celebration weekend commemorating the life and dream of Dr. Martin Luther King Jr. It begins on Friday with the showing of the documentary 13th at Augustana University. First Baptist Church hosts an interfaith event on Sunday evening with music, speeches, and prayer vigil. On Monday morning, attend the “After The Dream” community workshop at the Zeal Center for Entrepreneurship. For more details, visit the KDLT event page. ​Join us at the El Riad on the best dance floor in the area. Music provided by the Bill Gibson Orchestra. Variety of danceable music. Tickets are sold at the door: $14 per person or $7 with a student I.D. A dance lesson on the Cha Cha is offered from 6:45-7:30; free with the price of admission. 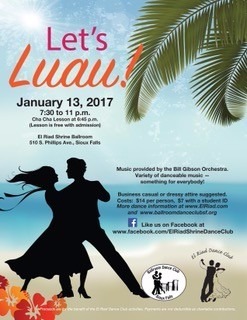 For more information, visit the Ballroom Dance Club of Sioux Falls website. Find new exciting, educational and interactive experiences designed to enhance and expand your knowledge of the everyday to the extraordinary. 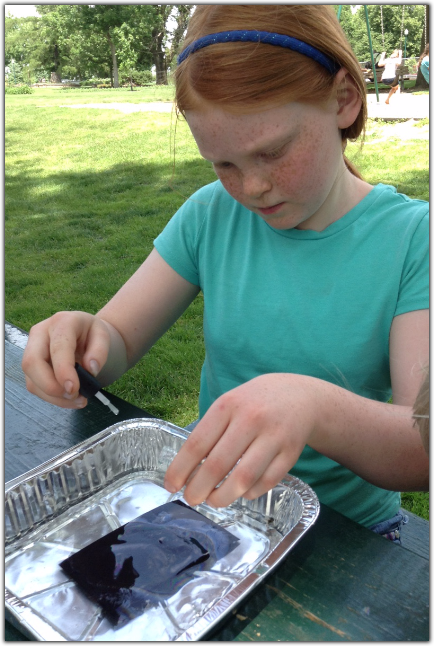 Engage in hands-on and minds-on themed activities, demonstrations, and projects. 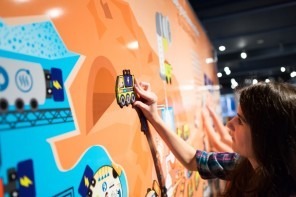 Discover the joy of science, art and learning at the Washington Pavilion. Membership or daily admission fee required. For more information, visit the Pavilion's Super Saturday page. ​Join us at the Downtown Library for the Sioux Falls opening of the traveling exhibit "Native Voices: Native Peoples' Concepts of Health and Illness." 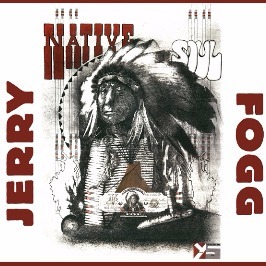 This opening event will feature Native American artist Jerry Fogg speaking about his art, work, and life. Groups that work with the Native population in health care will also be present with information tables. For more information, call the library at (605) ​367-8720. Don't forget these previously featured events! ​Due to the tragic events that occurred on Friday, December 2nd, DTSF is hosting a special First Friday event on December 9th. The event will feature great sales, events, expanded hours, and is also a chance for the community to give back to the families affected. Visit the DTSF event page for more information, including a listing of the day's events, sales and fundraisers. 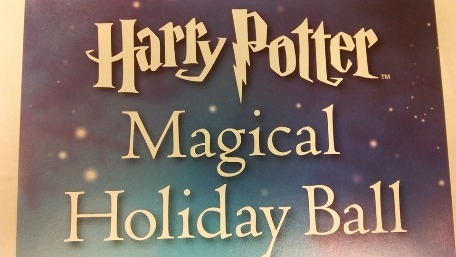 ​Dress like your favorite Harry Potter character, wear your holiday best or come as you are and join us for dancing, music, activities and giveaways. ​Support the library at Barnes & Noble. A portion of proceeds will benefit Siouxland Libraries. Special events include Santa's Hat Puppet Show at 11:00 AM, face-painting at 1:30 PM, and an Interactive Storytime at 2:00 PM. For more information, view the event press release. ​Meet more than 20 local authors from right here in South Dakota. They will be signing books all afternoon at Prairie Hills Covenant Church. 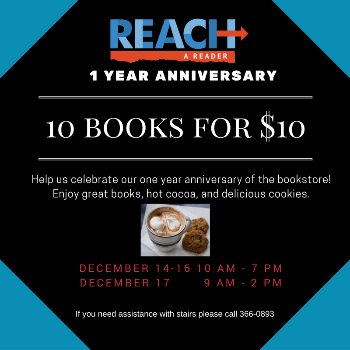 Additionally, Reach-A-Reader is hosting a $1 paperback book sale. For a list of participating authors and more information, visit the Facebook event page. ​The weather outside may be frightful but our party will be so delightful! You’re invited to the early holiday celebration at Midco Aquatic Center! Come join us for some fun holiday games, and win some prizes all while jamming to some of your favorite carols! No registration needed, active swim pass or daily admission required. For more information visit the SFPR event page. Help us celebrate our one-year anniversary of the bookstore! Enjoy great books, hot cocoa, and delicious cookies. 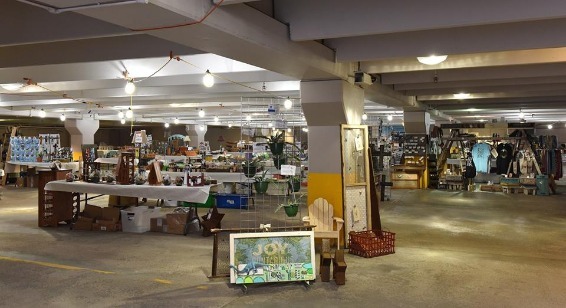 ​The store is located at 101 N Minnesota Ave, lower level of Canfield Interiors. For more information, visit the REACH website. ​Learn about history and design your own gingerbread man to take home from this free event at the Old Courthouse Museum. To register or for more information, call the museum at (605) 367-4210. ​Shows start on-time with no previews. Tickets are $5 plus tax adults, $3 plus tax youth (0-17). Regular No Member, Senior, Student or other discount applies. Cookies and cocoa available at Concessions. Films and showtimes are subject to change. Please call ahead at (605)367-6000. For showtimes and additional information visit the Pavilion's series web page. ​First Friday is a special day of shopping, art and entertainment in downtown Sioux Falls! Many stores stay open late. Enjoy a day and evening of culture and activity. Visit a variety of retailers, artist venues and fabulous restaurants, plus music and drinks at all your favorite hot spots! Visit the DTSF event webpage for the activities line up and more information. 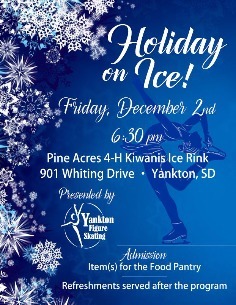 Presented by ​Yankton Figure Skating at the Pine Acres Kiwanis Ice Rink in Yankton. Admission is one or more item or a goodwill offering for the Contact Center's Food Pantry. For more information, visit the event web page. Shop one-of-a-kind locally made apparel, accessories, home decor, food, and more at Cherapa Place. Includes a make-and-take craft area for kids, a 3D printing demonstration, food trucks and more! For more information, visit the Facebook event page. ​Suminagashi or "floating ink" is the process of marbling plain paper with water and ink to transform it into something vibrant and colorful. Learn how to make your own at this free event at the Ronning Library. Open to attendees in grades 6-12. For more information and to register, visit the event web page. ​Santa Claus’s Director of North Pole Operations, Nicholas Frost, is having major repairs done to a wall where the reindeer live. During this time a body is found. Can evidence bring a murderer to justice? Help us solve the mystery at the Brandon Library! Participants will listen to the suspects’ statements and examine evidence in order to solve this mystery. Prizes will be awarded and donuts will be served! Grades 5 and up are invited to attend. For more information and to register, visit the event web page. ​Santa has lost his favorite hat and can't deliver presents until he finds another one to wear! 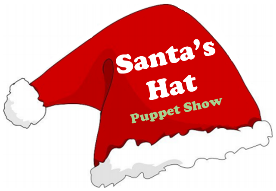 This free puppet show is recommended for ages three and up. Admission is first-come, first-served for individuals and families. Groups of 10 or more, please register in advance by calling 605-367-8710. Visit the Siouxland Libraries events calendar for showtimes. ​Come hold hands with the ghost as we take a strange new walk with a familiar story. It's readers' theater at its best, with haunting spirits and the added twist of music. 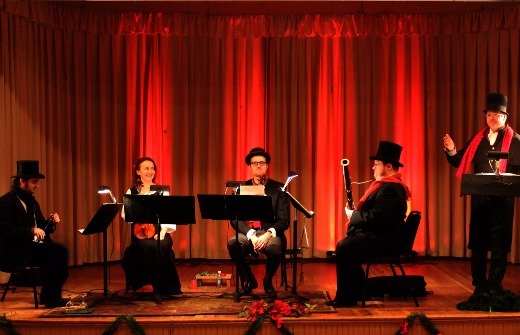 Scrooge has never had a more emotional ride than the one he takes with Flower & Flame at the Old Courthouse Museum! From the very beginning of the show, you know that you're in for something completely different. The music begins and sets the mood, then the reading takes its turn and the listener is not impatient for one or the other - it is an equal sharing of the dramatic delights of words and sound. For more information, visit the Flower & Flame website. ​All ages and abilities are welcome. The fun begins with a beginning Rumba lesson at 6:45 pm to get you started on the dance floor. The band plays from 7:30 - 11:00 pm. Tickets are $14 each or $7 for students with ID. Join us at the El Riad Shrine for an experience you won't forget! 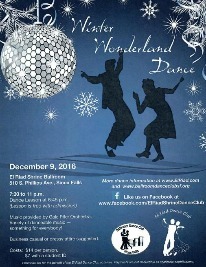 Visit the Ballroom Dance Club of Sioux Falls's website for more information. ​​We wanted to add a little something extra to some of our weekly park days this summer. The "extra" wasn't defined very precisely, but we'd talked about a craft or a science project that the kids would enjoy and maybe learn a little something new. Sorting through my sadly neglected Pinterest account, I decided on a project that was both a little crafty and a little science-y: Rainbow Paper. The set up is pretty simple, which was perfect for transporting to the park. Add a drop or two of nail polish. Immediately lift paper out of water through the polish. 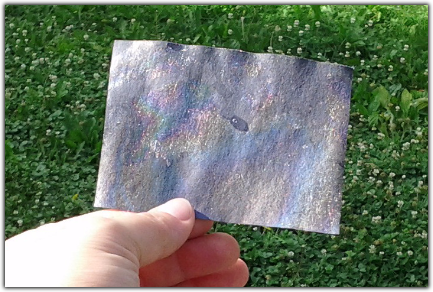 Tilt paper into the sunlight to see a rainbow of colors. Scoop any remaining dried polish out of the water before making another. 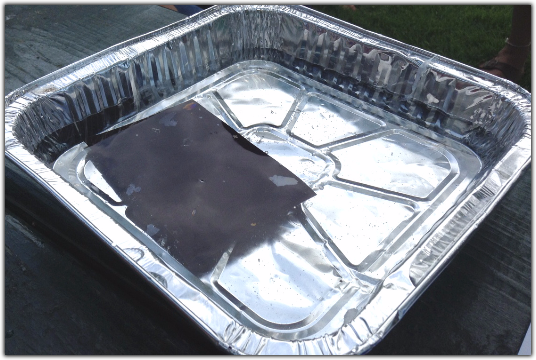 ​​When you remove it from the water, the paper becomes covered with a thin layer of nail polish. 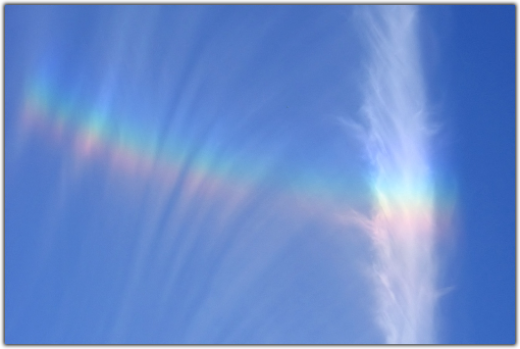 Like droplets of water that form a rainbow in the sky, the polish disrupts light waves, bending white light into all the colors from which it is made up. Want to learn more? Visit tinyurl.com/rainbowpaper. 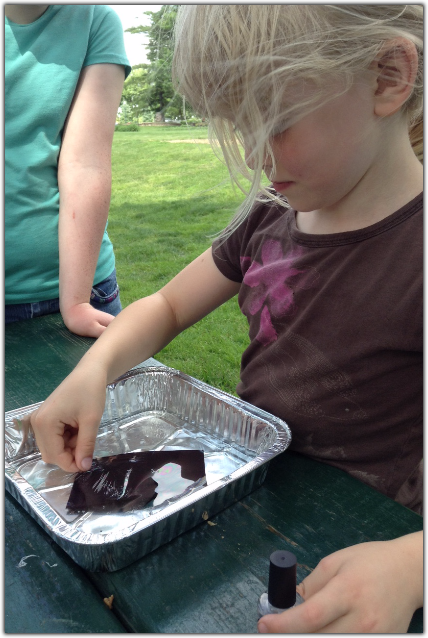 ​Do you have a favorite summer fun project? Leave a comment and tell us about it! Maybe one of your ideas will be our next "extra" something. ​​As a homeschooler, sometimes I feel like I need to come up with an endless stream of amazing ways for my kids to experience every topic in every subject. Reality at our house rarely matches up with this overachieving expectation, but a few weeks ago, I was the cool homeschool mom who taught math with building and snacks! Our topic was squares and cubes. My kids aren't really ready to use exponents yet, just to be aware they exist and to recognize the notation. I wanted to offer a visual and kinesthetic impression of what square and cube numbers really are. To that end, we ran to the grocery store for a box of toothpicks and two bags of grapes--both red and green to cut down on the squabbling. I demonstrated with twos, creating a square two grapes wide and two grapes long, for a total of four grapes (2² = 2 × 2 = 4). 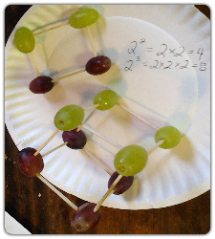 Add another layer to create a cube two grapes high and you'll use eight grapes (2³ = 2 × 2 × 2 = 8). 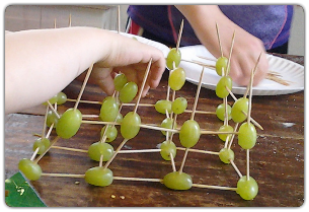 ​​I then handed my kids a plate of grapes and a handful of toothpicks, instructing them to create a square three grapes long by three grapes wide, then build it up into a cube three grapes high. Once they'd mastered that, we moved on to four and started five, working until we discovered we'd run out of grapes. My youngest had gotten hungry and decided he'd had enough of this construction project, it was snack time. I'm not sure if this will all translate into the ability to perform exponent calculations more easily when the time comes, but at the very least they can say they know why a "square" is a number raised to the power of two and a number raised to the power of three is called a "cube." Plus they thought, at least for a half hour or so, that math was really fun and I was the best teacher ever!